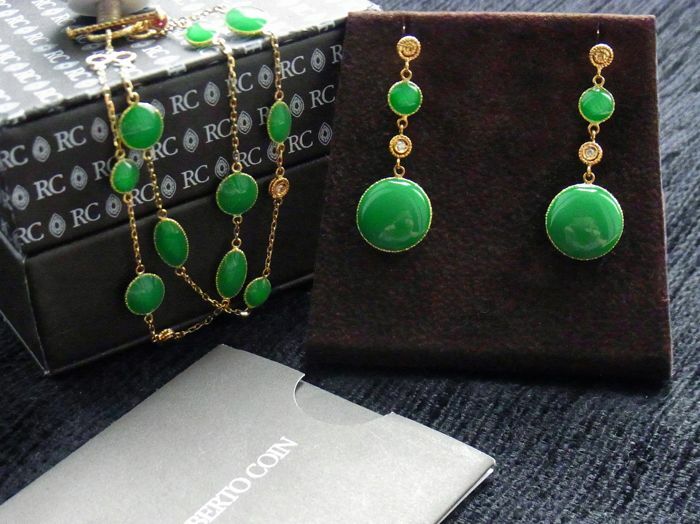 Amazing set from famous Italian brand Roberto Coin. 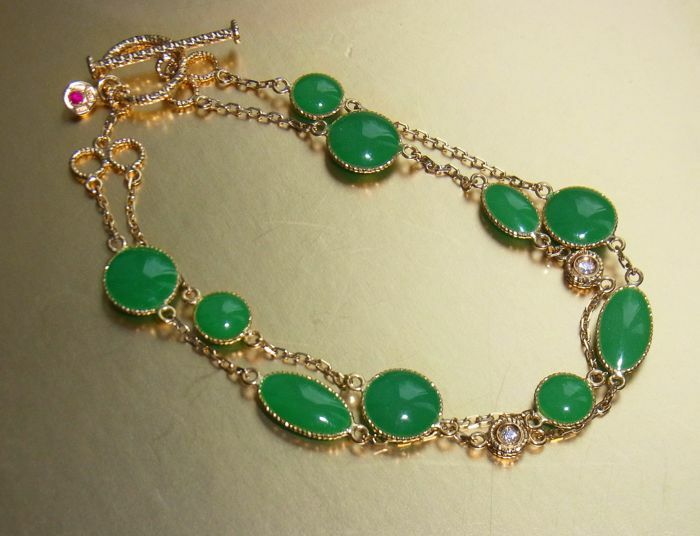 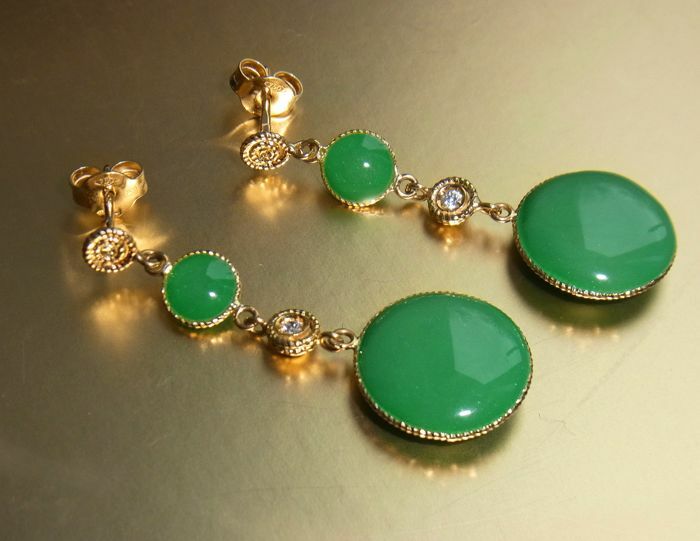 Gorgeous vivid green enamel and stunning white diamonds. 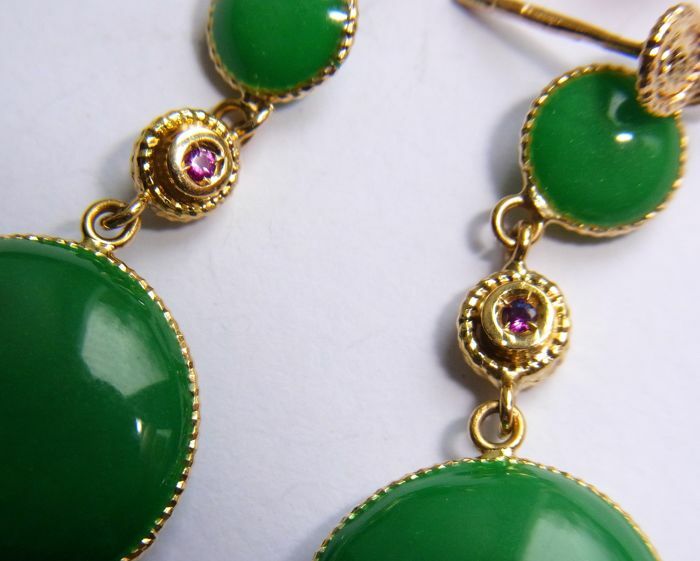 Italian fine jewelry at its finest. 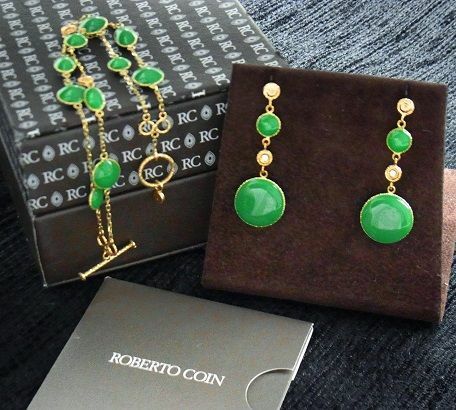 Accented with rubies, signature of Roberto Coin. 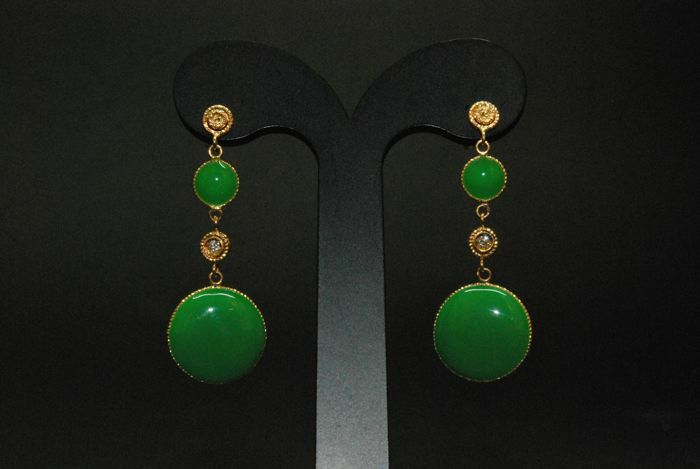 Weight of earrings - 4,36 gr, Set with 2 diamonds, brilliant cut, total apx. 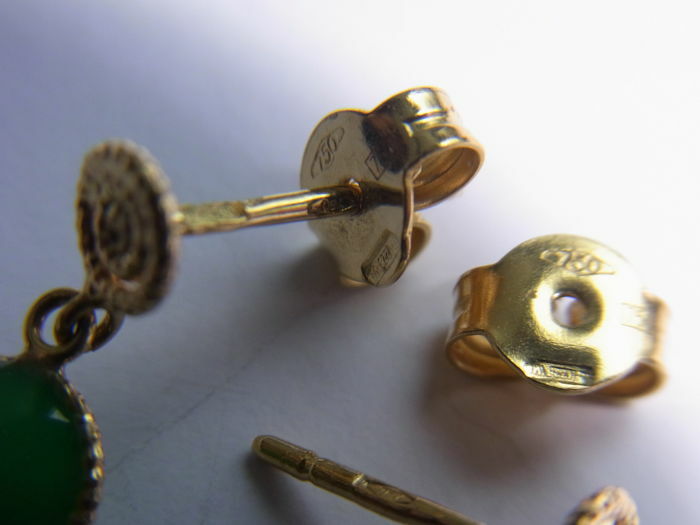 0,07 ct, D/VVS.